What’s a Normal Cardiac Output and How to Monitor It Non-Invasively? Home Health What’s a Normal Cardiac Output and How to Monitor It Non-Invasively? Find out what a normal cardiac output is and how to calculate it and monitor it in an non-invasive way. Cardiac output is a concept in medicine that consists of the amount of blood expelled by the heart in one minute. Technically, it is calculated as the product of the heart rate by the stroke volume. The increase in heart rate is a compensatory mechanism to increase the supply of oxygen to tissues. The variables that affect systolic volume, that is, the volume of blood the heart ejects into the aorta during the contraction period are preload, afterload, and contractile function. Today, there are a number of techniques that allow us to obtain measurements of cardiac output in a very effective and non-invasive way. Fick’s technique, which used to be used previously, has been replaced by more modern methods. The analysis of the pulse wave has resulted in obtaining a continuous and minimally invasive measurement of cardiac output. In addition, other methods, such as bioremediation, Doppler or echocardiography, allow us to obtain measurements of cardiac output in a non-invasive, fast and reliable way. The normal cardiac output consists of the amount of blood that pumps the heart per minute (towards the aorta). It supposes the sum of the blood flows. Therefore, its value is equal to the beat volume (ml / beat) by the heart rate (beats / min). The professionals place the normal cardiac output values in a healthy adult at 4-6.5 l / min at rest. During intense exercise you can pump four to seven times that amount. It is important to bear in mind that the cardiac output, being the main determinant of oxygen transport to the organism, needs to adapt to the needs of the same organism. It is a value that depends on the activity and the moment in which the person is. This means that a value within the range of “normality” does not serve, as a single data, to indicate that the cardiac function is optimal. The critical patient usually presents abnormal oxygen demands due to the very process that triggers the disease. That is why the cardiac output value alone, in this case, is not enough to assess the state of cardiac function and hemodynamic situation of the patient. Hemodynamic monitoring is a tool doctors currently use. Especially, it is very useful in critically ill patients, since it allows obtaining information about the cardiocirculatory physiopathology. This method can be a support to make the diagnosis and guide the therapy in situations of hemodynamic instability. It is worth mentioning that, in its beginnings, it was limited to critical care units. Doctors use this type of monitoring increasingly to emergency services. This is so thanks to the technological development and especially to its ever decreasing complexity. Currently, monitors are available capable of continuously measuring the cardiac output of the patient in a non-invasive manner. That is, you can measure it, for example, by cutaneous electrodes, digital inflatable cuffs or photo-spectroscopy sensors. Or, through a minimally invasive, option that is also possible. Doctors do it by channeling a peripheral artery. The complexity of the picture. The evolution time of hypoperfusion. The availability of equipment in our field of work. A less invasive technique may be preferable more quickly and easily, even if it is slightly less accurate. Especially in situations that require a rapid assessment of the patient’s situation. The little or non-invasive monitoring is more effective the sooner you apply it and when the monitor is better recognized. That is why it is a tool doctors use it in emergency and emergency services. To guarantee the adequate supply of oxygen to the tissues in the critical patient. It helps to establish the differential diagnosis of the possible causes of shock. Also to optimize the treatment, quantify its effects and avoid the possible complications derived from it. 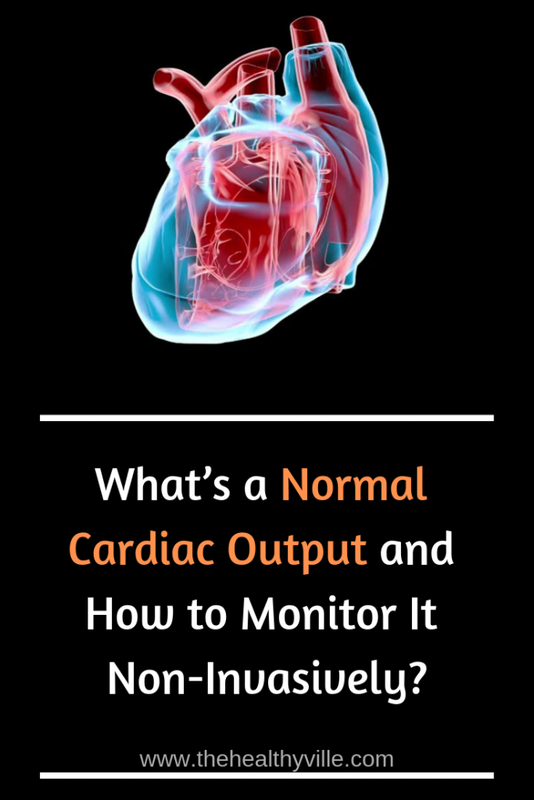 Don’t forget to SHARE what a normal cardiac output is and how to monitor it with your friends and family on your social media!